At the Chiropractic Office of Dr. Gregory Berkoff in San Diego, our doctors understand that when you are pregnant you need smart, supportive, knowledgeable health care professionals behind you every step of the way. Our doctors are trained to provide the specific and special care women need before, during, and post-pregnancy. Whether you seek out our help due to back pain, sciatica (pain down the thigh/leg), breastfeeding discomfort, mastitis (breast pain and swelling due to blocked milk ducts often associated with infection), or nutritional counseling, our doctors are here to help be part of your team.​​ We make recommendations based on the latest and best research and provide our patients with comprehensive chiropractic care. Whether your pregnancy team includes just an obstetrician/gynecologist, or if you wish to include your family doctor, mid-wife, doula, or other allied health professionals, our office advocates a co-management approach to pregnancy care where we work supportively in conjunction with other providers to achieve the highest and most comprehensive level of care throughout. 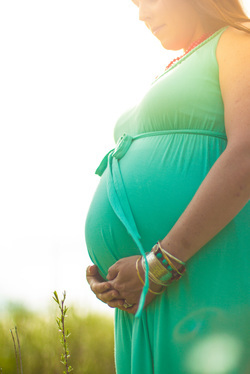 The primary role of chiropractors in pregnancy is to help restore and maintain normal pelvic alignment. The normal hormonal fluctuations during pregnancy create ligamentous laxity causing instability in the spine and pelvis and consequently, can also cause the arches of the feet to drop. This, combined with weight gain and a decreased ability to exercise can cause a lot of pregnant women to suffer back, hip, foot, and knee problems. Chronic pain during pregnancy can impact both mother and developing fetus by causing the secretion of stress hormones, such as cortisol which has wide-ranging effects on health. Chiropractic care during pregnancy can help to align the pelvic joints (sacroiliacs), support the arches of the feet with custom orthotics, and maintain consistent, healthy nutrition. It is estimated that as many as 80% of women experience at least one episode of significant lower back pain during their pregnancy. This is most common during the third trimester when hormone-induced ligamentous laxity is at its highest. Often times, a single, gentle chiropractic manipulation treatment can restore normal joint position and relieve pain. Chiropractic is becoming an ever more popular component of postnatal care for women. As chiropractic doctors, we focus on general health issues and seek to promote wellness through natural means. Whether you've had a cesarian section or a vaginal delivery, pregnancy alters pelvic anatomy, and sometimes causes subtle shifts in alignment which can cause bio-mechanical pain that can take months or years to self-correct. This significant and unnecessary pain drains many new mothers of energy, interferes with the ability to bend, lift, and hold the baby, and can prevent post-natal women from being able to return exercise which is vitally important for regaining health. Chronic pain has been shown to contribute to clinical depression, and may be a component of what is often referred to as postpartum depression. It is not uncommon to experience pain in the upper back and neck following childbirth. The added physical strain of breastfeeding, carrying a newborn, toting around a car seat, not to mention the stresses associated with being a new mother can combine to create muscle tension, strain injuries, headaches and back pain. We utilize numerous modalities and techniques to help reestablish proper joint position, lubricate joints, ease muscle tension, lower stress, and decrease pain both for pregnant women and new mothers. At our UTC/San Diego office, we understand the important role nutrition plays in promoting and maintaining health. This is especially true before, during, and after pregnancy. Research indicates that nutritional deficiencies can be dangerous for both mother and baby. But we take nutrition beyond the simple addition of a prenatal supplement. A fresh, natural style of eating which keeps blood sugar levels stable is the centerpiece of our approach, and, we believe, offers the best chance for both mother and baby to the be optimally healthy. Some of our patients have a weight loss goal to meet prior to getting pregnant. Others are concerned with not gaining too much weight when they become pregnant or want to lose stubborn weight after delivery. ** Whether you're curious about supplementation, want to know what foods to avoid, or have bigger issues before, during, or after your pregnancy, we would like you to think of us as your resource! It is our belief that healthy parents are an important ingredient in the raising of healthy kids. Showing children by example how to be healthy by addressing issues like nutrition, exercise, good sleep practices, and stress management helps create a lasting culture of health for the entire family. **Our doctors are health coaches with Take Shape for Life and have experience creating customized weight loss strategies to help even the busiest moms achieve their goals. More than 95% of all people who do a structured weight loss program regain the weight (plus a little extra) within 18 months of coming off their program. At our office, more than two thirds of people maintain ideal body weight 18 months after completing their program. We make weight loss easy and, in most cases, long-term or permanent.